← What Do Rainbow Vacuum Complete Units Include? Posted by Steve Morgret on August 18th, 2012 14:45pm in Rainbow Vacuum Cleaners. Last Updated on October 6th, 2018 20:20pm. Whether it’s to purchase a new sweeper, or to service an existing one, there are many options available for consumers. However, not all of the options are reliable, which is why it is important to always do a bit of research to find the best option. For most, the best option is to always go with a professional specialist in the given field. The reasons for this are simple: they have more experience, know the equipment and its accessories, and they are the best resource for repairs. Rainbow vacuum specialists are the leading experts on Rainbow systems. They know all of the ins and outs, and are able to not only explain how they work, they can also help potential owners find the right system for their needs. Those who are interested in a new cleaning system but are not sure what will fit their needs will always be better off contacting a professional who deals with the systems on a regular basis. The reason for this is that the professionals know how everything works, and whether a particular model or package will be capable of handling needs like pet clean up, reconditioning carpets, or even just basic floor cleaning. 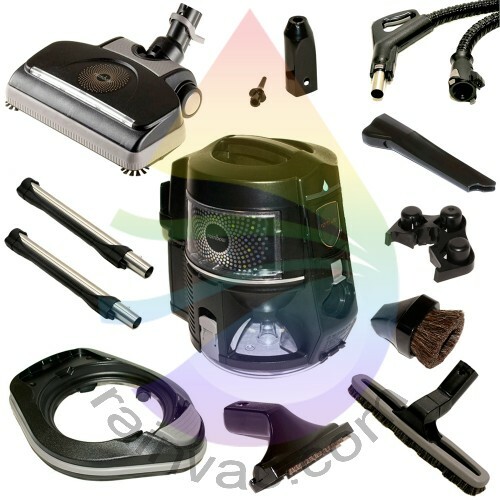 One very important reason to always choose Rainbow vacuum cleaner specialists is that they know how all of the attachments work, and how to best use them for every home cleaning need. For example, those who need to clean heavy traffic areas and deep clean carpets can discuss their needs with a specialist and find the right attachment to get the job done. For most, this is the AquaMate attachment, along with its cleaning solution. The AquaMate is one of the best ways to get any carpet reconditioned without having to hire a professional. Most will find that it removes odors, as well as heavy stains, leaving the carpet clean and looking as new as possible. The AquaMate attachment is also ideal for those who experience frequent stains on the floors. It is capable of removing oil, grease, wine, and even organic stains caused by food or pets quickly and efficiently. Those who have hardwood or tile floors may be unsure what attachments will be the best choice for their floor care. This is where a specialist can step in and explain the benefits of using the RainJet attachment. The RainJet offers a cleaning experience that goes beyond a basic mop and broom to clean the floors in one easy step. They are left cleaner and better looking, without the heavy residue and debris that mops leave behind. A precision control trigger makes it easy to get the solution right where it is needed in order to fight heavy stains or build up. When it is clean, it can be squeegeed up, leaving the floor drier than it would be with a mop. One last reason to choose a specialist is that they can make it far easier to find replacement Rainbow vacuum parts. The units do occasionally need replacements, such as a new attachment if one breaks or gets jammed. We can offer our customers fast and friendly support in order to get new parts or accessories to them as quickly as possible so you they can get more out of their cleaning unit. Whether it’s questions about what model to pick, or where to get replacement parts, feel free to contact our Rainbow vacuum specialists for all of your cleaning system needs.